After sitting in a wardrobe at my Mum's for the best part of the last decade and already having survived years in the band Ghidrah, being lent out, attacked with a screwdriver, numerous stickers and attempted paint jobs I thought it was time to resurrect my old Les Paul Standard. Originally I had planned a new paint job but once I got it home I decided I liked the battle damage and settled for new machine heads, new pots, new switch, new bridge, new jack, and new wiring. 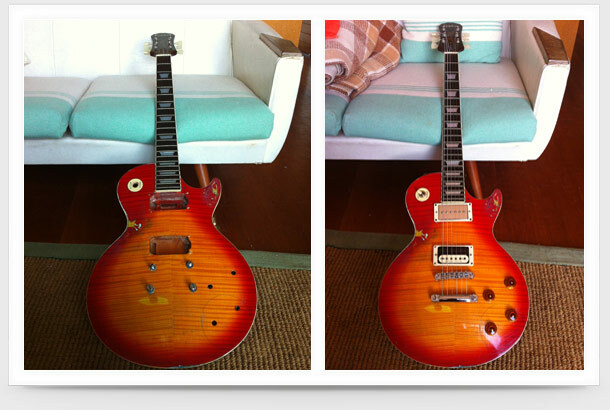 I also added a new P-90 pickup in the neck position to go with the Seymour Duncan 'Screamin' Demon' in the bridge. All that probably wont mean a hell of a lot to non-guitar nerds but given my soldering skills (or lack thereof) I felt kinda proud that everything seems to work okay and I managed to come out with only one minor burn. 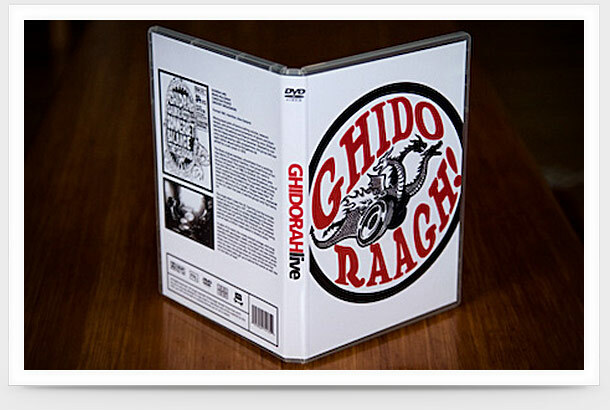 A couple of years ago I put together this DVD of five Ghidrah live shows from back in the mid 90's, saving them from the fall into VHS oblivion. The DVD is out in a strictly limited edition of three. No more will be made available, ever! My plan with this page is to dump any other projects or things I've been up to that don't quite fit on any of the other pages. Which means this page is going to remain pretty empty I imagine... and no one is actually going to get the Miscellaneous Debris reference either are they?